Two media psychologists walk into a bar. One turns to the other and immediately starts arguing about the effects of violence in video games. As far as jokes go, it’s not the best. I know. I KNOW. But it does kind of lay out how the topic of violence in video games tends to crop up anywhere psychologists who study them gather to discuss things. Things have amped up in the last few years, but the debate has been going on for decades now. It features the usual cast of politicians, interest groups, and concerned parents, but many of the leading voices are also psychologists and other academics who have attempted to study the issue scientifically. They don’t always agree, though. In this episode of the podcast my guests are defenders of one side of the argument. 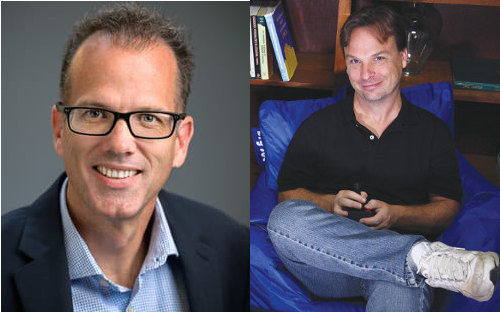 They are Dr. Chris Ferguson and Dr. Patrick Markey, the authors of the new book Moral Combat: Why the War on Violent Video Games is Wrong. In the episode we talk about their new book, which includes discussions about why people tend to blame violent video games for all kinds of things, the state of the research, morality and games, and some of the reasons why games are actually good for you. Also, remember that supporters on Patreon get the ad-free version of the podcasts. You can too!